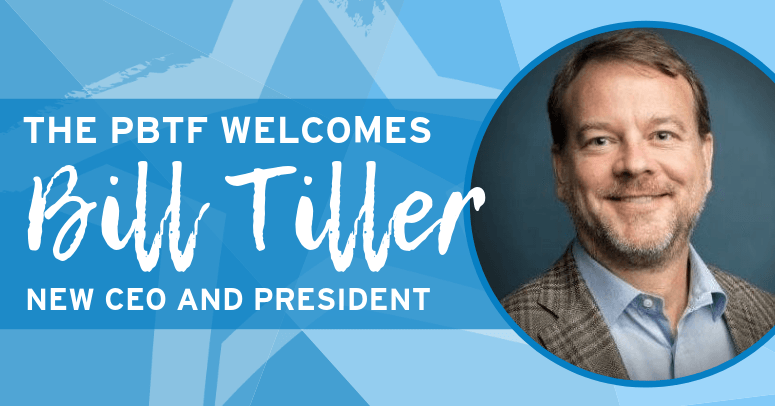 The Board of Directors of the Pediatric Brain Tumor Foundation (PBTF) today announced the appointment of Bill Tiller, a noted nonprofit leader, as chief executive officer and president. Tiller will assume his duties on Feb. 4, 2019. We invite the community to send their notes of welcome to Bill by tagging the PBTF on Facebook (@Pediatric Brain Tumor Foundation), Twitter (@PBTF), LinkedIn (@Pediatric Brain Tumor Foundation), and Instagram (@PBTF_events) along with the hashtag #CareCureThrive.